To till or not to till, that is the question. The question is simple but the answer isn’t. Ask different people for their opinions and you’ll get a variety of answers. The real answer might be “Maybe. 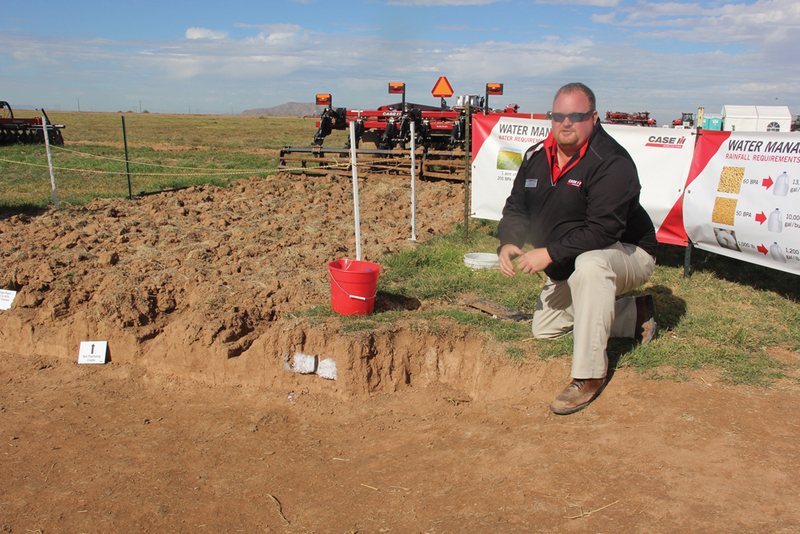 But if you do, do it properly.” Grainews spent some time in an Arizona farm field with tillage specialists from Case IH to see how some field scouting and a little effort can help growers get it done right. A pass over a field with a tillage implement might leave a beautiful looking, manicured surface. But is that all there is to consider? Staff at Case IH say absolutely not. “A lot of times our customers are paying attention to what the soil surface looks like, on top of the ground, to judge their tillage tools,” said CJ Parker, Case IH crop production product specialist. “But we need to see what’s going on underneath, and how we can repair that soil to get the most out of it we can. Parker made the statement while standing in a cut out that exposed about 16 inches of the soil profile in an Arizona farm field. And he thinks every farmer, no matter where they farm, ought to be digging the same kind of holes in their fields to find out what’s going on under the surface. And that should be done before a tractor and implement even get to the field. CJ Parker demonstrates how to use a jackknife to find the compaction layer in a soil profile. The compaction layer is this field is shown by the area painted white just below that red bucket. 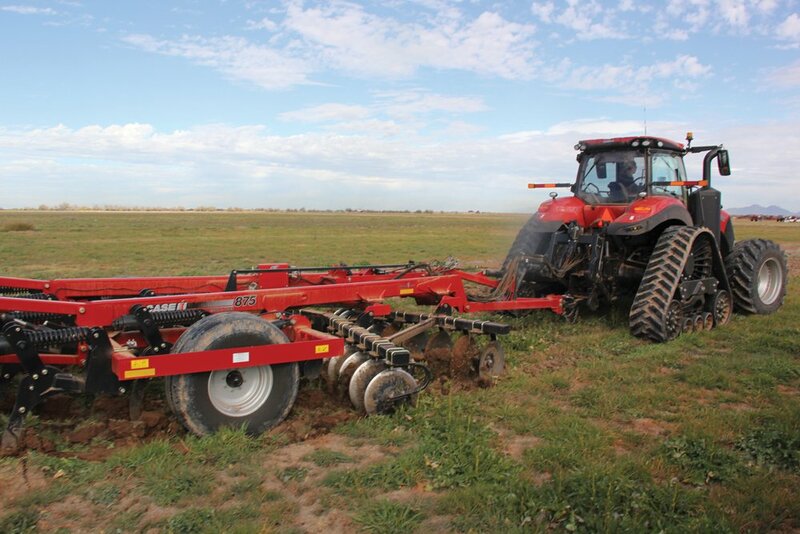 Soil compaction can exist below even the best-looking, smoothest seedbed. The impact of it could mean lost profit. So, getting it out is important, and don’t think of just blindly going in with a deep ripper and making that diesel in the tractor cough out black smoke (unless it’s an emissions-controlled engine, then it won’t). “One of the first things we like to do is talk about is the depth of our tillage,” he continued. “How deep do we need to go? Often I ask (customers) how deep would you like to go, and the answer I hear is ‘as deep as the tractor can pull it’. That’s not necessarily where we need to be. If a farmer just uses a soil probe, it will only find the top of the layer, leaving uncertainty about where the bottom is. And that information is possibly the most important. It will decide how deep tillage needs to go to efficiently break up that compaction layer without wasting fuel.